Geyser is a commonly used home appliance. It produces hot water that is used for various purposes like bathing, cleaning, washing etc. Water heating is a simple thermodynamic process where a source of energy like electricity, natural gas or solar energy is used to heat water. There are two heating elements inside a geyser that heat water. If the power supply in your home is fine but there is no hot water from geyser, it indicates that the heating elements have failed. Another reason for no hot water is a faulty thermostat. Thermostat is a device that keeps the temperature of water inside geyser at a desired level, by cutting off the power supply once the desired temperature is achieved. The reason for low hot water pressure can be sedimentation build up in the water pipes, corrosion, rust and blockage in outlet valve. 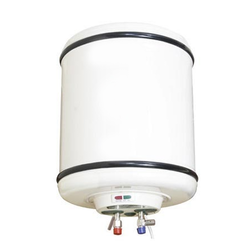 If you are hear loud humming, hissing, and cracking noise from your geyser during its operation, the reason might be salt and mineral deposit at the bottom of the water heater tank. With time, lime and scale present in hard water coat the bottom of the tank and the surface of heating elements and electrodes. Water leaking from geyser indicates several diagnosis, ranging from loose drain valves to high pressure build up inside geyser, to a corroded water tank. It’s quite common for water to be dripping from the temperature-pressure relief valve, which is designed to release water when it senses excess pressure build up inside geyser. If the power supply in your home is fine but there is no hot water from geyser, it indicates that the heating elements have failed. Another reason for no hot water is a faulty thermostat. Thermostat is a device that keeps the temperature of water inside geyser at a desired level, by cutting off the power supply once the desired temperature is achieved. 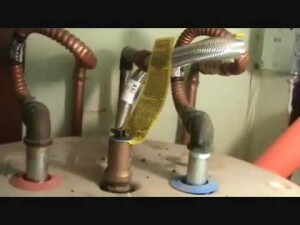 Do it yourself electric water heater repair. Step by step guides with pics. Tools you’ll need, troubleshooting guide and safety advice. Understanding how an electric water heater works is important for solving electric hot water heater problems. When you understand what a part should do and when, solving the problem will be easy. Cold water enters the bottom of the tank through a fill tube inside the tank. Hot water is drawn off of the top of the tank through the hot water line. On a duel element residential water heater, both elements do not heat at the same time. Starting from Tank of Cold Water, the upper thermostat will energize the upper element. When the water in the top half of the tank is hot the upper thermostat will shut the power off of the upper element and send it to the lower thermostat and element. Starting from Tank of Hot Water. When hot water is used, cold water enters the bottom of the tank at the same time. This will cool the lower thermostat and the lower element will heat. This electric water heater troubleshooting guide covers other problems you may have with your water heater. If you want geyser services at any time and if you are looking outside repairing service for your geyser, then you are on the right place so choose EzHomeServices for best repairing services. EzHomeServices brings the high-quality services to your door step. A reliable hand to reach out for when you need, with verified expert professionals and on time service that is what we know for. We are currently offering our services in cities like– Allahabad, Amritsar, Bhopal, Chandigarh-city, Delhi-NCR, Indore, Jaipur, Kota, Kanpur, Lucknow, Mumbai, Nagpur, Nasik, Pune, Surat, Udaipur, Varanasi. You can get our services via log in at ezhomeservices.in or can call us at our toll-free No. 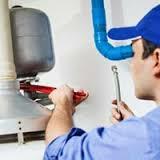 1800-2700- 878 for geyser repairing services. Enjoy Hassle Free Winter and Feel Warm in Chilled Environment, Get Geyser Repair Services Online in your City Now!! I see your site needs some unique content. Writing manually is time consuming, but there is solution for this. Hello,I log on to your blogs named “Water Geyser is Creating Fuss in Middle of Season, Get here Chilling Tips to fix the Problem Quickly” daily.Your writing style is awesome, keep doing what you’re doing! And you can look our website about [url=http://www.matb3aa.com/album/%D9%85%D9%87%D8%B1%D8%AC%D8%A7%D9%86%D8%A7%D8%AA-2017]تحميل مهرجانات شعبى 2017[/url]. I am very impressed with your site and also with your information.You shared such a good and valuable information with us.Thanks for sharing the best posts they amazing.